The Interior Ministry will no longer allow CNRP officials to visit their jailed comrades after it accused the party of bringing a Radio Free Asia (RFA) staff member to a prison visit under false pretenses, a claim disputed by the party and the employee. Huot Vuthy, an RFA local deputy director better known to listeners as Chun Chanboth, signed himself in as an “assistant” when he accompanied CNRP lawmakers Mu Sochua and Long Ry to the meeting with jailed party activists and former officials at Prey Sar prison on Wednesday, ministry spokesman Khieu Sopheak said. “It states in the criminal code that to do this kind of thing is wrong,” he said. But Mr. Vuthy said he had simply signed his name and had not provided a title. Mr. Vuthy, who also hosts interviews and roundtables at the station, said he initially intended to visit political commentator Kim Sok, who was imprisoned in February for accusing a government-affiliated “network” of orchestrating the murder of political analyst Kem Ley. Mr. Sok made the comments in RFA interviews. A guard turned Mr. Vuthy away from visiting Mr. Sok, saying he needed a permission letter from the courts, Mr. Vuthy said. But the CNRP delegation arrived minutes later, and Mr. Vuthy said he joined them, listening silently to their conversation with 16 former opposition officials and activists, all of whom were charged in cases the CNRP has claimed are politically motivated. 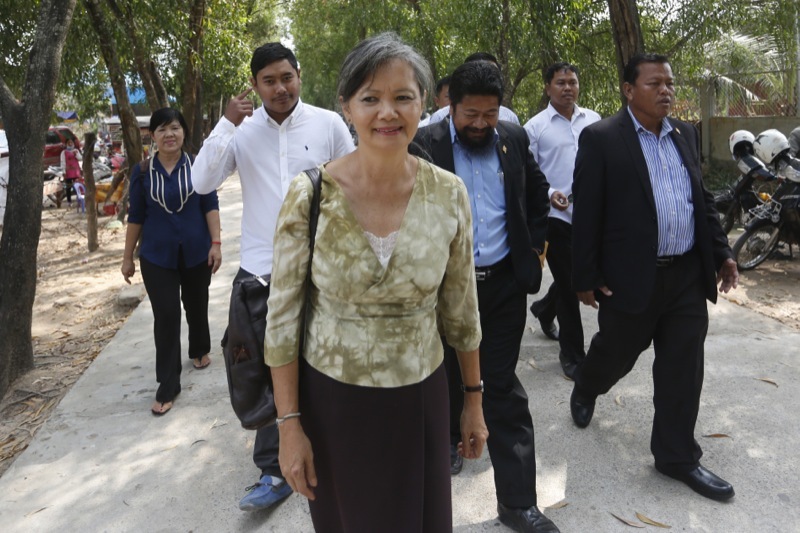 Ms. Sochua said she stood by Mr. Vuthy’s account of the visit, but said the CNRP would work with the ministry to resolve the situation. RFA and its guests have had a difficult year. Kem Ley, a social scientist and regular guest on the popular “Listener Forum” talk show, was gunned down in July, just days after speaking critically of alleged government corruption. 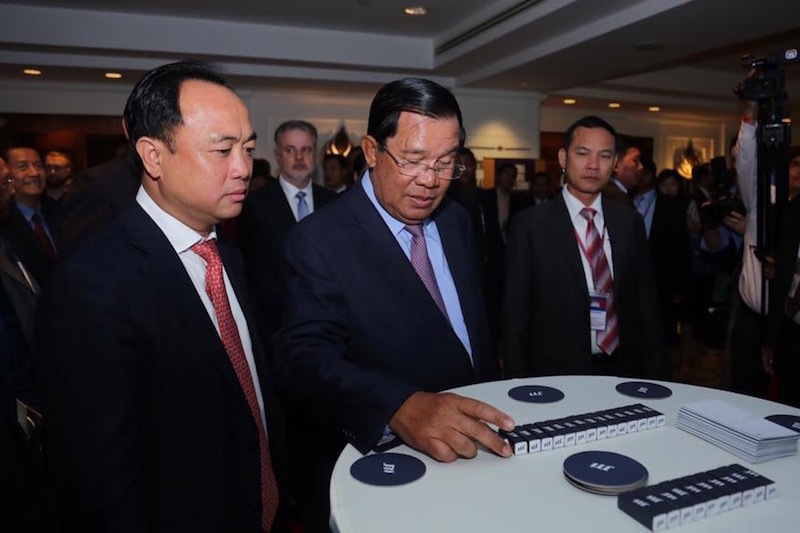 Prime Minister Hun Sen warned another guest, Meas Nee, not to “go too far” in a speech in November, and sued Mr. Sok in February. Council of Ministers spokesman Phay Siphan has repeatedly claimed RFA and Voice of America are in cahoots with the U.S. government and the opposition party, with the clandestine aim of instilling chaos and instability through biased reporting. The U.S. government funds both stations. Lao Mong Hay, a political analyst and regular guest on broadcasts hosted by Mr. Vuthy, said that it was the longtime editor’s outspoken charisma that had landed him in the government’s crosshairs. “Actually, he is one of the harsh government critics,” Mr. Mong Hay said.